White 9x9 Vinyl Coated Mesh Fabric has a high tensile strength, it’s flexible and breathable, and its rot resistant and tear resistant. Vinyl coated mesh has a wide variety of uses, including windscreens, backstops, covers for trucks and pools, divider curtains, elevated dog beds, sport bags and sporting goods, outdoor furniture, and shade cloth. To put behind our porch railing for some privacy. I chose this fabric to repair a lawn swing. 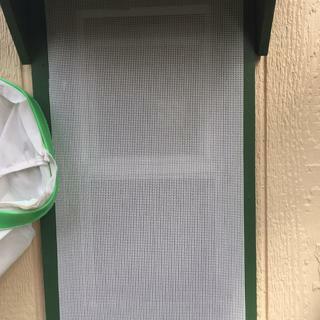 To add extra/ lighter outer screen to shed windows to reduce inside heat during the day and make a breathable, bug blocking door/ entry way for dog house. Use this to replace vinyl fabric in pool skimmer. It dyes well and keeps its stiffness. I use this material (my old door-nets finally wore out) by hanging it from the top only, directly over the doors where my horses come in and out of their large run-in stall. The flies won't come in because the material creates shade. The flies stop just short of the shade, remaining outside the door, in the sun. This netting lets the breezes in, but keeps the flies out! It really works! My horses enter the barn by pushing the material aside. I love the results and I use less fly spray! Yes! I chose this fabric to make a privacy screen for the top of an outside shower at a beach house. I want something that will still allow airflow. going to use it to make a dog carrier for my 5 lb tea cup poodle and needed something that would allow air to come into the tote. This was the perfect choice. I like the price in comparison to similar products that I viewed on line. I'll leave a review later. making a breathable awning for the patio. Am ordering this to try out in a mixed media mural project. Product appeared to fit my needs, and the price was right. I will let you know in a month when I am finished with my project exactly how satisfied I am, or not. I want to make mesh bags out of them. I'm using it to redo some outdoor chairs my grandmother gave me. This looks exactly like what needs to be replaced. I'm very excited to have found these as the chairs are in otherwise excellent condition and they have great sentimental value! I need to replace the fabric on my pool lounger and am hoping this fabric will work. I need to make screens that will let light in yet still give some shade and breath. I choose this product to hang over a single open balcony door as it would allow the river breeze in and not block the view but block bugs from entering. Great fabric. i need to cover a window hole to divert rain water. i figured i install a fabric screen to do so. so started looking for an all weather fabric to make the screen. I'm looking to make dog harnesses and need a breathable but sturdy fabric. Plus, the price is perfect to try out! Making the girls zip bags to carry all their treats and activities while we're on a long flight. I love that you can see thru it and it's lightweight and easy to sew on the sewing machine. I'm using the "Pods" pattern (I really enlarged it) from the "Lazy Girl Designs" company. She has tons of cute bags to make that are fast and easy. No affiliation, just love the patterns. I am a cabinet manufacturer. I use this item to cover the tables we sand wood on. BEST ANSWER: This fabric is 157.48 cm wide, the spaces between the mesh are about 1.5 mm x 2 mm. How flexible is this fabric? Can you sew it with a home sewing machine? We want to make drying bags out of it. BEST ANSWER: I am assuming drying bags for your laundry? Yes I used my home sewing machine On this but I was making dog beds. It is a lot stiffer than I anticipated for that but it holds up very well. It is plastic coated so I would not recommend putting it in your dryer or anywhere that gets hot. It's very flexible, but absolutely no stretch to it. I use it for cushions on an industrial walking foot machine, but I can't see why it wouldn't work on a home machine. This is flexible and folds for sewing nicely. I used a zig zag stitch to ensure hold. I want to sew some zippered mesh bags to not only put quilting projects in but to be able to see what is inside. Does this mesh fit into those perimeters? BEST ANSWER: I would think that would work. I used it to make wall pockets for my son's books so he could see the fronts and while the holes are quite small, I can still make out the covers. It's also pretty soft, so sewing it was easy, but you might want to bind the edges before adding a zipper just for stability. This is good for wet swimsuits carry bag. Does this product or Phifertex have a more open weave? Is one heavier and more durable than the other? BEST ANSWER: We suggest ordering samples to compare. How STRETCHY is this fabric? How much GIVE does the fabric have? If I glued this fabric to a FLAT surface, and then bent that flat surface -- would the vinyl mesh bend (stretch) WITH it? Or would the mesh then PREVENT the flat surface from bending? BEST ANSWER: My best guess is the fabric is not strechy enough to bend if glued to a surface. 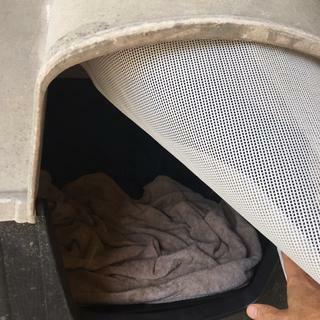 I use the fabric for pool skimmers and it works great keeping in mind the fabric is simple kept in place with a metal band and the fabric is left very loose within the enclosure. Hopes this helps. Good luck. It doesn't seem to have any stretch to it. However I bought it to make fly masks for my horses. 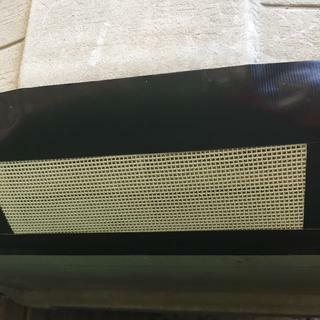 I'm looking for a mesh fabric to replace the material on a pool skimmer. I need fine mesh. Will this work? BEST ANSWER: I would say yes. It’s very strong and durable. I could find many uses for the fabric. 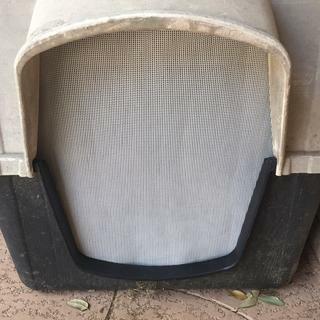 I used it to cover some lawn chairs that had a wicker type webbing that was raveling and in bad shape. It worked great. It’s not as flexible like pool skimmer fabric. The holes should be small enough. If I were replacing such an item, I would want a more flexible strong poly fabric. This would work. It’s fine like a window screen mesh. It says 62” wide and sold by yard but description in headline says 9x9? BEST ANSWER: 9x9 is how many holes per square inch. It is 62 inch x how ever many yards you order. what is meant by 9x9? BEST ANSWER: I am guessing it’s the gauge of holes and one yard is 62 inches by 36 inch yard. I need to replace a screen measures 48x52 how many yards do I need, in white? BEST ANSWER: This screening is 62"" wide and is a square weave, so you could probably run the length in either direction (up/down or side/side). I don't know how much overage you need but I would guess maybe 4" all around. That would bring your dimension to 56x60. So you would need 1 2/3 yards. 2 yards since you have to buy whole yards. You would need 2 yards. Can this be used in place of window screening? BEST ANSWER: The size of the holes might be too large to keep out some bugs, but if that's not your goal, it could work. We also have insect screen. Is this fabric foldable like an accordion? BEST ANSWER: Yes!Very flexible &durable! Approximately how many yards would I need to cover 4 slings chairs 18"" x38"? BEST ANSWER: 3 yards would be enough. Is this fabric suitable for covering sling chairs? BEST ANSWER: We don't believe this product is rated for sling use. It may work, but it's not designed for that purpose. BEST ANSWER: This fabric would work great for that use! We still recommend ordering a sample to be sure that it will work for your project. BEST ANSWER: This fabric is 62" wide by however many yards you'd like. The maximum continuous yardage is 20 yards. I will be replacing the bottom of a chase lounge chair that holds the cushions .This "appears to match what is already on it. Will this hold a persons weight? Does it give a bit? BEST ANSWER: Yes! This is commonly used for outdoor upholstery. Im looking for a tan or a brown color do you have any of that color? Hello, Can I put vinyl letters on it and make a banner? is there wider than 62''? Can this be used in window screening??? How much would a piece of this cost to cover pool 26ft by 26ft?? This product is easy to cut and very flexible. I cut sewed a dog door and hooked it to the old hooks from the last door to her house. Also duck taped this mesh over the open holes of her house also. It’s very buggy where we live and this works great. She has air flow, privacy and natural bug Repel zone. Cut and nailed some screen over shed windows to reduce inside heat and access rain water. Very tough and durable. I used for mending outdoor lawn chairs.